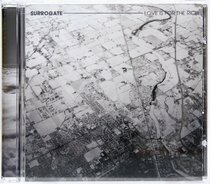 Koorong Music Manager’s Review: Surrogate are relatively new on the Christian music scene and have a unique peaceful, surfy rock sound. It's almost as though you drift gently through the album as you listen to it. This is a very exciting release and the sound is very 'now'. Please be sure to check it out online. About "Love is For the Rich"